Scenic Cruises has been offering Mekong River cruises for a couple of years, but 2016 will mark a new beginning for the company. Its own luxury vessel – the Scenic Spirit – will be the newest addition to the company’s growing fleet of ships. In 2015 Scenic Cruises will introduce two new ships for the Rhine, Main and Danube Rivers – the Scenic Opal and the Scenic Jasper. Scenic Spirit on the Mekong River 2016. Photo courtesy of Scenic Tours. In January 2016, the Scenic Spirit will make its debut on the Mekong River. Early bookings are already underway. Interestingly, you’ll only find Mekong River cruises listed on Scenic Cruises’ main website in Australia. You won’t find them on the U.S.-based website. The Scenic Spirit will carry up to 68 passengers. All cabins are designed as suites and range in size from 350 square feet to 865 square feet. The Royal Panorama is not only the largest suite on the Scenic Spirit but also the largest suite in the river cruise industry. The 865-square-foot cabin has a bedroom, living room, a walk-in dressing room, a Jacuzzi and a balcony — the size of a small apartment. True luxury cruising. Some additional features of the Scenic Spirit include four restaurants, an open-air movie screen, a pool with a deck and a bar, and a full spa with a sauna and steam room. While you’ll probably spend most of the day visiting each destination on land, it’s nice to know that you can relax and enjoy your time onboard the ship in the evening. Mekong River cruise packages are available year-round. Pricing begins at $2,495 (AUD) or $2,035 (USD) per person for 8-day cruises from Ho Chi Minh City, Vietnam to Siem Reap, Cambodia. There are also packages up to 27 days between Hanoi, Vietnam and Luang Prabang, Laos. One differentiating factor for Scenic Cruises is that few river cruise companies travel north to Luang Prabang on the Mekong River. Most river cruise on the Mekong either begin or end in Kampong Cham, Cambodia, which is south of Siem Reap. Scenic Cruises prides itself in a providing a five-star luxury experience for all its guests. Staff to guest ratio is nearly equal. You’ll receive private butler service regardless of stateroom category; however, it is scaled accordingly. 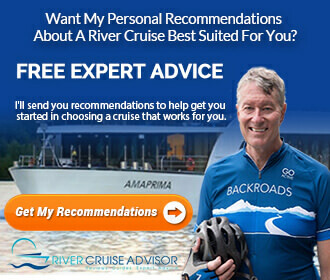 In addition to the personal and attentive service you’ll receive, there are other features that make up Scenic Cruises’ all-inclusive packages. A few of these include all gratuities (both on and off the ship), Scenic Free Choice for excursions (you will have a variety to choose from), Scenic Enrich (exclusive once-in-a-lifetime experiences created for Scenic’s guests), and Scenic Free Choice Dining (you won’t be restricted to dining venues). Although, you will be traveling in style and luxury, Scenic has a relaxed dress code. In other words, you are not required to dress formally for dinner. On the other hand, shorts are not allowed. So the choice is yours. You may choose to dress up, or you may dress casually. Scenic’s goal is for its guests to be comfortable. Southeast Asia is an area of interest to many travelers, which is why so many companies have expanded to this market. Compared to its competitors, the Scenic Cruises’ Mekong River cruise packages are more reasonably priced. There are a few drawbacks, though, especially if you are traveling from the United States. Flight time to Hanoi or Ho Chi Minh City can take nearly 24 hours from the U.S., depending on where you depart. And roundtrip plane tickets start at about $3,400 per person. Scenic is currently offering air travel discounts, so this is a good time to book your 2016 Mekong River cruise. 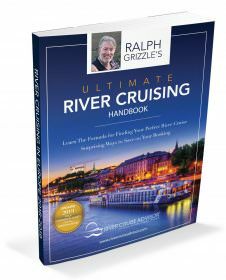 Read other Asia River Cruise Articles.